“Africa University presents an "opportunity to bring together a wealth of our diversity to build a deep sense of oneness.” —MRS. 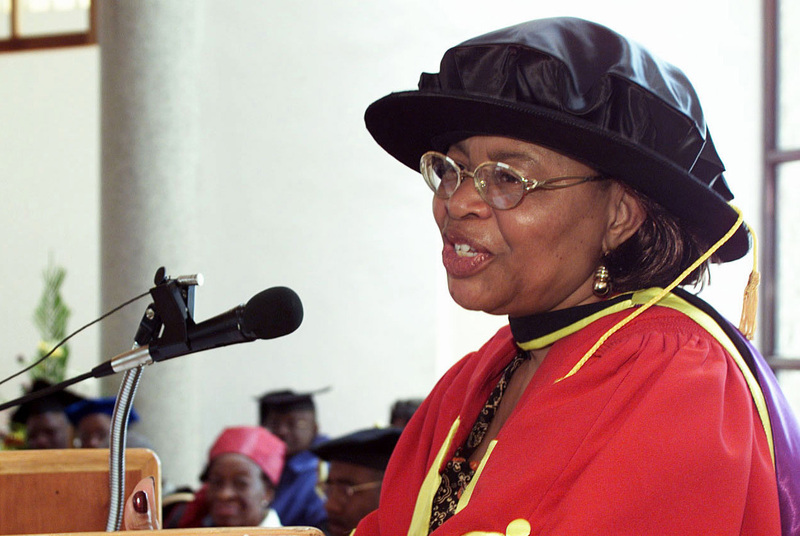 GRACA MACHEL, HUMANITARIAN AND CHILDREN’S RIGHTS ADVOCATE. To strengthen the pan-African nature and impact of the University by increasing resources for SCHOLARSHIPS AND financial aid. Africa University’s diverse campus community is a unique strength. Students from as many as 29 African countries live and learn together. Their personal histories, talents and interaction enrich training and personal development. Our campus is where vision, aspiration and purpose blend. Differences that normally divide the students in their home contexts—ethnicity, language and social background— are set aside as they forge strong relationships that last a lifetime. Their educational experience at Africa University yields discernible benefits—professional competence and innovation, a sound moral compass, spiritual maturity, social concern and a commitment to service. They leave with knowledge—not only of a discipline, but of themselves—and of how to utilize their gifts to shape a better world.